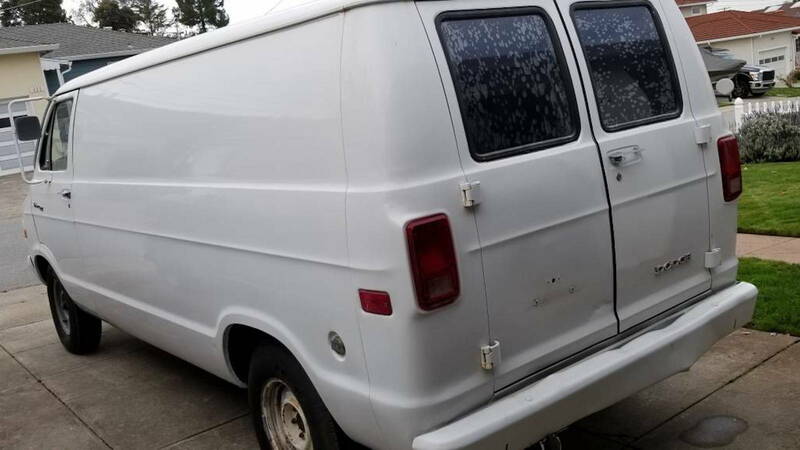 Slideshow: This 1978 Dodge Tradesman undercover police van is for sale. At an asking price of $4,000, is this find strange or awesome? How about both. The ad begins in the normal way you would expect most Craigslist car ads to begin, but by the third sentence, things start to really interesting. 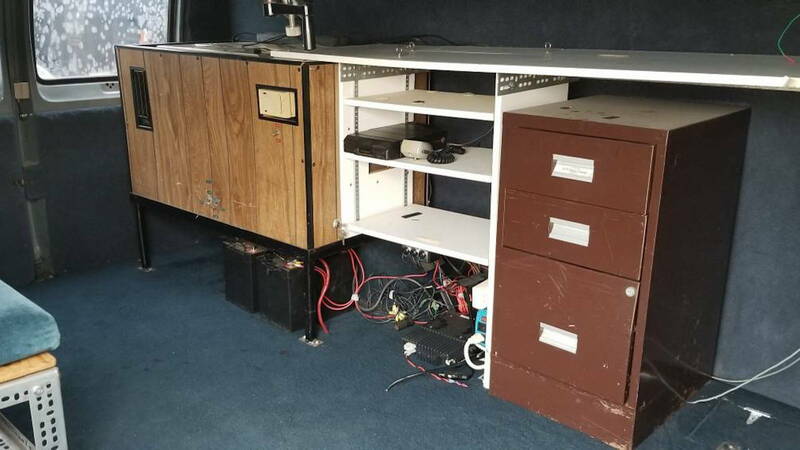 “It was a former undercover surveillance van from the Central Valley,” it says—but before you click through the pictures, take a minute to stop and think about this vehicle. People inside of this Tradesman 200 would have been rolling up on the bad guys to collect everything from audio recordings to photographs of illegal activity. It’s pretty wild to think who drove this car before the owner did. Now let’s open the doors and see what makes this thing so different than any other van. Inside the covertly painted white bodywork lies a desk, some file cabinets, a tiny bench and what looks like a periscope. This is the late 70s at its best. No technology here, we’re going after the kingpin with a CB radio and some good old fashioned detective work. Oh, and there's that giant periscope that looks like something from your dad’s teaching days in the public school system. This has to be the strangest interior of any car you can actually buy today. 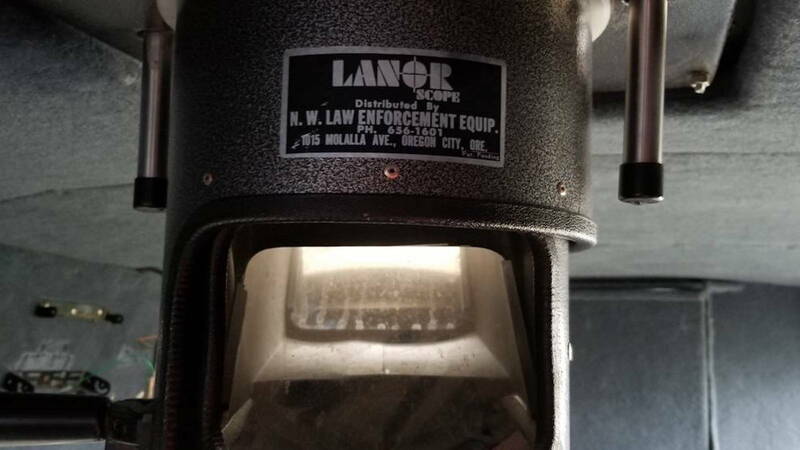 >>Join the discussion about this Dodge police surveillance van right here in Dodge Forum. The engine sits between the driver and the passenger with an alarming amount of metal exposed into the cabin. Throw a rod or blow a head gasket and you’re going to know pretty quickly that something is wrong—talk about onboard diagnostics. We may have just found the new solution to OBD-3 here. Did any detective work actually get done with the lack of sound insulation that is present here? Exposing an engine in this manner would never pass DOT regulations which makes it a bit of a hilarious peculiarity. What is this Trap Door? 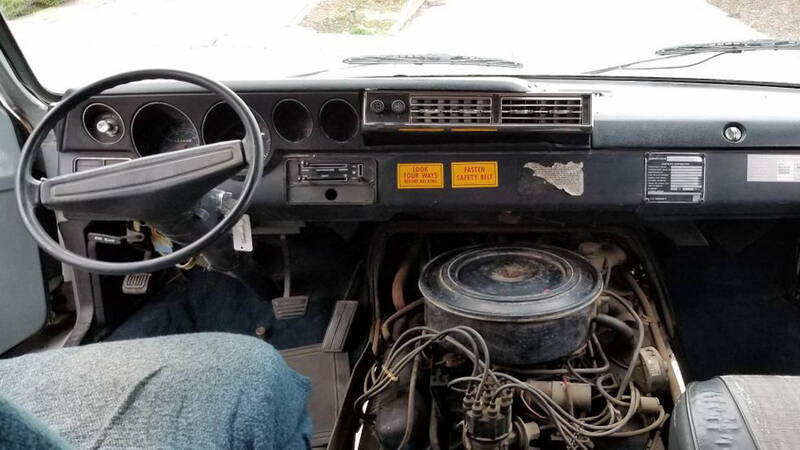 Among some of the other features in the vehicle are an AC system that works on a dedicated set of batteries, a door that separates sections of the van and a V-8 that has 73,000 original miles. Don’t get it twisted, however, this is not a turn key car. The owner knows it needs a tune-up and is honest in the ad about the condition. Everything runs, but old cars are old cars. At the end of the day, it’s always wise to go through them before and after your purchase. At only $4,000, this is a cool buy. 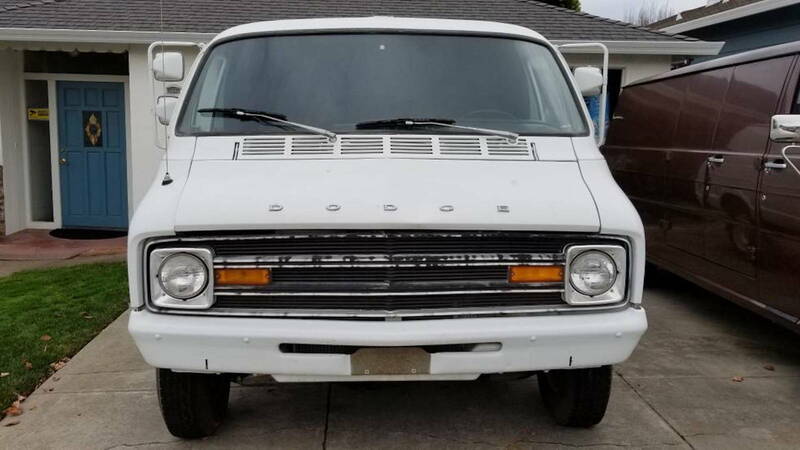 Due to the history of this car, the way the engine is exposed in the cabin, and of course, the periscope, this Dodge Tradesman 200 surveillance van is one sweet buy. You would have something no one else has with a couple of gadgets and a great story when people ask you what you bought. If nothing else, it would make for a cool way to haul your racing tires around. What do you think? Is 4 grand too much for this thing or is it worth the money?